Jailed Ukrainian opposition leader Yulia Tymoshenko denounced on Monday President Victor Yanukovych’s promise to make Russian an official language along with Ukrainian as a political trick intended to boost popular support for his Party of Regions ahead of parliamentary elections. Yanukovych, whose support base is in the Ukraine’s Russian-speaking industrial east, promised on Sunday to push through a law that would make Russian a second official language in the country. “This only means that parliamentary elections are approaching,” Tymoshenko, who has been sentenced to seven years in jail over her role in the signing of a 2009 gas deal with Russia, was quoted as saying in a statement published on Monday on her Batkivshchina party website. 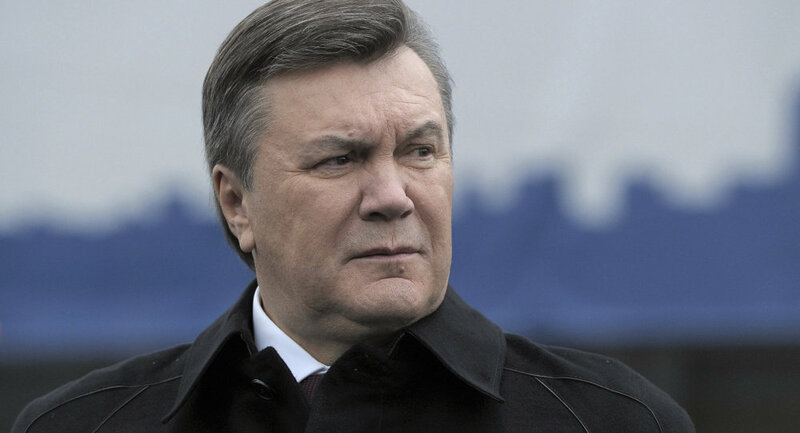 Yanukovych, who campaigned on promises to give Russian an official status in Ukraine, said in an interview with Russia’s Itar-Tass news agency that Ukraine was “interested” in such a reform. “People who mainly speak two languages – Russian and Ukrainian – are interested in this,” he said, speaking on the eve of his visit to Russia. There were periods in Ukraine’s history when language problems were unregulated, but those times are now in the past, he said, pledging that the Ukrainian parliament would pass a law designed to resolve the issue in the near future. Yanukovych-led parliamentary coalition, which holds 235 seats in the 450-strong Supreme Rada, falls short of the necessary two-third majority to change the country’s constitution and make Russian a second official language. Meanwhile, a bill significantly widening the Russian language’s sphere of usage and virtually equalizing it with Ukrainian has long been introduced to the country’s parliament. The chances of passing such a law would increase if Yanukovych supporters manage to secure a majority of seats in the forthcoming vote due next fall. In order to achieve this, the Party of Regions and the Strong Ukraine party led by Deputy Prime Minister Serhiy Tyhypko announced their merger on Saturday. “We should not allow Yanukovych and his gang to make it into parliament once again by cynically using [political] technologies in the delicate and sensitive language issue – an issue that is holy for many of us,” said Tymoshenko, whose native language is Russian and who has admitted in the past that she learned Ukrainian only when she was 36.